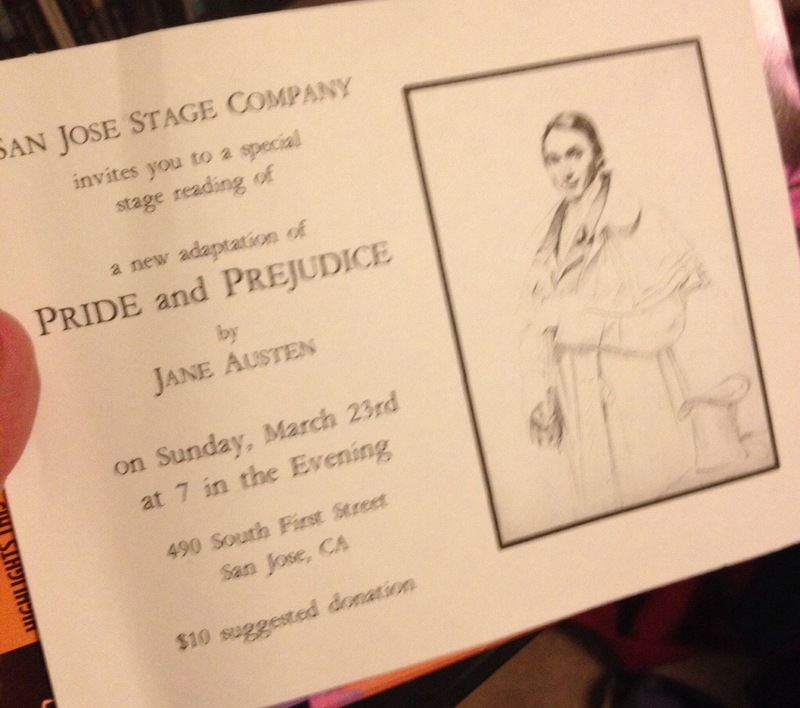 Sunday night discovered that San Jose Stage Company was doing a reading of Jane Austen’s Pride and Prejudice. Neither of us had any idea what was meant by “reading” in this case, because it was at a theater rather than a book store. But we are both Austen lovers and couldn’t miss the opportunity of seeing this. It turned out that, inspired by her own love of the book, Halsey Varady (one of the actresses in the troupe) had written an adapted stage play for the novel and this was the first public reading of her newly written play. The ensemble cast (about eight) was fantastic. The only staging was a set of chairs all in a row and a set of music stands in front of them and during the reading. When it was their turn to speak, they came up to a music stand, placed their script binder down, and read their part. They occasionally switched positions and used very minimal blocking to scene shifts clear, but otherwise that was it. The lack of stage set or costumes in no way detracted from the performance, and the actors proved that, with the right cast, such stage design is unnecessary. Also, though the actors playing Elizabeth and Darcy stayed in the same character throughout, the rest of the ensemble played two, sometimes three different characters. It was amazing to see them just stand, step up to the music stand and disappear into a new character. A couple of times, I thought additional actors had magically appeared out of the thin air, they were that great. After the performance, Halsey Varady spoke to the audience and asked for feedback. 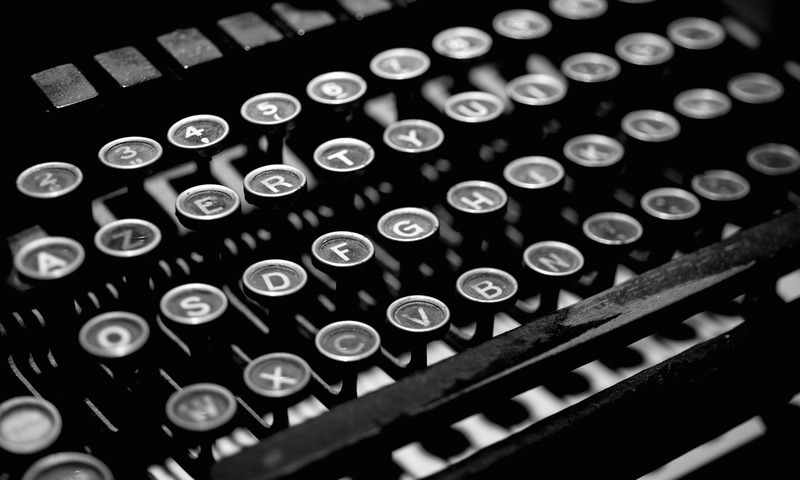 There weren’t many critiques, because it was so polished. The idea is for the play to be transitioned into a full stage play or a radio show (or both), any and all I’d love to see happen — because I’d love to go see it again.